VB: What is a great employee? Dale Dauten: It's their effect on the people around them. That's not a complete definition because there are people who do wonderful work on their own. Some of these may be anti-social. However, the ones I've studied were the employees everybody wanted to work with. They lifted the people around them, made them better employees. Living here in Phoenix Arizona I used to call it the Steve Nash effect, because there was a time when he was the most famous athlete around. He played point guard for the Phoenix Suns basketball team and, among much other recognition, was twice named the National Basketball Association league's most valuable player. Now he's fading out of public awareness so the analogy is not as effective. VB: "When you find a gifted boss and great employee coming together, it is something much finer than a job being filled; it is a talent pool getting deeper and broader, a growing of the group brain." What do you mean by 'group brain'? Dale Dauten: You don't have to know everything. If you know others who know and you can access their knowledge, you have a shared brain. To me 'group brain' is a neat image. It makes me smile to think of being part of a 'group brain', that together with other people we are intellectually bigger than any one of us. I used to live in Atlanta and had a pal there who knew every old song ever composed. Consequently, I could know any old song that was ever made because I could call him and say, "We're trying to think of a certain song," and he would know it. It's good to think of the image of a 'group brain' when you're hiring. The temptation is to hire somebody you like, and usually someone you like is like the other people you like. That last sentence is an interesting trick of language! In any event, if you're conscious of the group brain you say, "I want to hire somebody who knows different things than we collectively know" and you hire for differences instead of likeness. This helps expand the group brain in a company or any other organization. VB: "So, when you see a gifted boss and a great employee together, you are seeing the chemistry of trust, manifested in a mutual assuming of the best." Given the disappointments even gifted bosses experience, isn't 'assuming the best' a major challenge? Dale Dauten: It's probably a personality trait to assume the best although I try to make it a discipline in my own life. I tell people, "Let's assume the best. How would we assume the best about someone being difficult? Let's assume they were trying to be helpful, nice, or funny." As soon as you ask this question it changes how you think of a situation or other people. VB: "Most companies have built a perpetual mediocrity machine." Would you talk about this? Dale Dauten: It's easy to repeat the same thing and end up with an assembly line mentality. You imitate the same people. You want to improve but you do the same things everybody else is doing to improve, you never try anything new. You see this phenomenon within organizations. The example I gave in last week's interview applies – the new training manual is an updated version of the old training manual. Systems are created that reward mediocrity. People do the same things over and over. Nobody would say it, nobody would even dare to admit they think it, but the truth is in most companies the big danger is making a mistake. The downside attached to this fear is much greater than the upside of trying something new and better. VB: "You say to hire great employees you can't rely on job competitions or the traditional job market; you must establish a 'hiring funnel'." Are there enough great employees out there? Dale Dauten: Whenever I talk about great bosses, people ask, "What percentage of bosses are the 'gifted bosses' you talk about?" As with great employees it's always going to be the top few percent. Is it 1 out of 100? In some organizations it may be 10% or even higher. There are a lot of gifted employees but the curious and important thing, which I try to get managers to remember, is that the great ones are rarely in the job market. In a terrible economy, like this one, some of them are. But for the most part a truly great employee, a top 1 per center, a top 5 per center, is not going to be let go. Quite the opposite, employers are going to reward them, and do what's possible to keep them. I know some managers who work to spot these future great employees in college and hire them. Some of the great employees I've met have never been in the job market. When they changed jobs it was because they were working for, say, a consulting firm, some business got to know them, and hired them away. It's more about spotting and courting than it is about resumes and interviews. VB: "Firing takes guts; de-hiring takes heart." Would you elaborate on this? Dale Dauten: I like that line. A lot of people are afraid to fire somebody, because for most firing an employee is an ugly, awful thing. So they avoid it. It therefore makes sense to say, "Firing takes guts." You've got to be willing to disappoint people, maybe have somebody break down in tears. Most managers have heard some horror stories, and many have experienced them. The worst story I ever heard was about a guy who, upon being fired, froze with his hands locked onto the chair. He went into some type of catatonic state and emptied his bladder. They literally had to carry this guy out of the office in the chair. Bosses hear these horror stories and put off dealing with a problem employee. On the other hand, you worry when you meet somebody who says, "Oh, I kind of like firing people." It's sick, right up there with "I kind of like tearing heads off bunnies", or something equally terrible. Unlike firing, de-hiring takes heart. The de-hiring process is where you go to someone and say, "Listen, I think you could be a great employee and here's what it takes to be a great employee in your position. I want to help you get there. Let's do this together." Defining what is "great" in a job is the hard stuff. Then you get agreement from the employee about what they have to change and a timeframe for it. "I think you could be there in 90 days, what do you think?" "I think I can do that." You get an agreement and work hard to help the person. You also get agreement that if they can't meet the goal, they'll leave. It would mean they're in the wrong job. It doesn't mean they're a bad person, just that this is not the place where they can be great. When you use the de-hiring process some will admit to themselves, usually not to the boss, that they don't want to work that hard, and so will find another job. Other mediocre or even failing employees, with some help, clear guidelines, and a deadline, will turn around. They will become great employees. Some bosses have told me this occurs with about half of these employees. It's the most beautiful thing there is in leadership. Most managers have at least one struggling employee and they start finding fault, get annoyed, and one day have the guts to fire the person. But if somebody's struggling and you understand this de-hiring process and have the heart to say, "We need to talk. Here's what it's going to take for you to improve. I want to help you, and I think we can do this." There's at least a 50/50 chance that they can and will improve. This is real leadership. VB: Is the "set-up-to-fail syndrome" typical of bureaucracies? Dale Dauten: There was a book with that title first published in 2002 so I don't want to take any credit for the term. The two authors of that book, Jean-Francois Manzoni and Jean-Louis Barsoux, would be the experts on this. What they argue is that set-up-to-fail is human nature. Employees screw something up, and you start watching and waiting for them to screw up again. It makes them nervous and they tighten up. It also makes you more likely to spot mistakes, or to intervene, thinking 'I better jump in before they screw up again', and so starts a downward spiral. VB: Would you talk about the Code of the Laughing Warrior, which you include in The Laughing Warrior? Dale Dauten: I tried to come up with a simple list, a code of what it takes to be a great boss or employee. It attempts to summarize the most important principles. As a writer, and someone who likes a good quote, I wrote the code as a number of aphorisms which summarize the best things in the book. It's laid out so you can print off an 8 ½ x 11 mini poster and pin it up. I've received a lot of positive comments from people who did just that. People would visit their offices and ask, "What the heck's that?" It started conversations and allowed people to talk about what they were trying to accomplish. A great way to accomplish more is to have conversations about how you're trying to accomplish more. People are attracted to this, and they often want to help. One aphorism, which ended up being the first one, "Think like a hero: Work like an artist." is my favorite. It's the one I repeat the most. To do something different you have to think like a hero. "Who can I help today?" You have to try to do something better. Real energy comes from helping your employees to think, helping your customers, or helping in the myriad other possible ways, every day. It entails a lot of experimentation, and trying of new things. VB: You list 62 revelations that support the Code. Are these the key conclusions you have drawn after many years studying the traits of gifted bosses and great employees? Dale Dauten: Yes, they are my favorites. As a writer I'm always hoping to come up with some good pithy lines. Those 62 are the lines I thought resonated the best. Some are quotes from interesting people I have spoken with or interviewed, but most are sentences that originally appeared in The Corporate Curmudgeon column or in one of my books. VB: "…once you accept that organizational people are hardwired for mediocrity and conformity, then you can look at the role of leadership differently….Hire good people and keep re-showing them the way." Would you talk about this? Dale Dauten: It's my belief that organizations tend to devolve rather than evolve, bureaucracy creeps in and has it's own momentum. The often quoted comment 'hire good people and get out of the way' has always bothered me, because if you truly get out of the way, what's the point? What are you trying to accomplish? If you have a team and you're out of the way, how are you the leader? Leadership is in short supply. The leader is the one who climbs to the top of the hill and figures out where the organization should head. The leader is the one who has to keep pointing the way. It isn't 'get out of the way'; it's 'figure out where we're going and show them the way'. Inspire people to do something new, inspire them to do more than they thought possible. What energy is there in getting out of the way? People love to say it, but they don't think of its implications. The key is for the leader to lead, and to not be in the way. VB: The thought of getting out of the way can be a threat to managers. Dale Dauten: Yes, and I understand this. It relates to the idea of impedership, which we talked about last week. Getting out of the way is better than being in the way, I'll grant you that. I've met such wonderful great bosses. They make you want to go out and do something special. 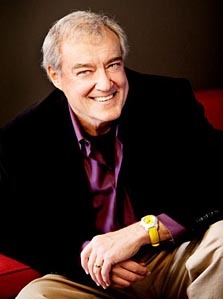 I'm having coffee with Jim Evans, my mentor, on Monday and I can't wait because I know I'm going to leave ready to go out and bite a tiger. There's something about great leaders that makes you want to be special, to be like them. VB: "Ask great bosses to describe their best employees and they describe people who are engaged and alive, fully there, eager to help and learn." Being the most highly skilled is not included in this description. Dale Dauten: Skills, of course, are important as they're the basic job requirement. It's not skills that are in short supply. It's skilled people who use their skills in ways that raise the people around them and get customers excited. For the most part a good company, such as Apple, doesn't hire you unless you're highly skilled. The question is, what are you going to do once hired that will set you apart from all the other highly skilled people? You're going to have to figure out how to make use of the 'group brain', how to clearly spell out your ideas, and how to make innovation happen rather than get bogged down by the bureaucracy. VB: "Here is the wisdom of the best bosses: Organizations thrive when employees choose to bestow the gift of excellence upon them." Excellence cannot be forced? Dale Dauten: Having just finished a book about bosses who do more than they thought possible, I wonder if it would be 'forcing excellence' to say, "We're going to get to this goal. We're going figure it out." I guess it's a kind of forcing; certainly it's a drawing out. I'm not sure of the exact correct language, but there are some leaders who can make you better than you thought you could be. That's real leadership. When a leader sets a standard or target, and people think, 'Are you nuts?' you could call that demanding excellence. VB: "…few employees realize that they are part of the circles of helping, and that they need to do their part to keep the mojo flowing. The karma in organizations doesn't just flow down; it circles around the organization and anyone in the circle has the choice to either block the flow of energy or reinforce it." Is blocking the flow of energy the primary way disengaged employees negatively affect the success of an organization? I like the notion that 20% are going to try to block change and energy flow, and it's your job, as leader, to try to win over the 60% in the middle. If you can, they will join the 20% who are already eager to try something new and it will overwhelm the negative energy. One hotel executive, upon taking over a hotel, told me he met with all employees and management and categorized each employee as either a 'patriot' or 'terrorist'. He saw it as his job to either convert the 'terrorists' or get rid of them. So yes, disengaged and negative people block the flow of energy. I guess the question is whether or not you can get rid of all the negative people. I don't know if it's possible. You're always going to have your weakest 20%, but the ideal is they are not also negative. VB: You can work at de-hiring the bottom portion of the bottom 20%. Dale Dauten: Yes you can, but we have to remember that some teams don't have anybody who is really weak. To target de-hiring at the bottom 20%, or whatever percentage is chosen, can be a problem. There's always going to be the bottom 20% of employees in terms of performance, which is what bothers me about the approach taken by Jack Welch, former President and CEO of General Electric. He got rid of the bottom 10% every year. Getting rid of 10% merely because you believe in Darwinian management is harmful to morale. De-hiring mediocre employees is another matter, which we have discussed. VB: "…you can't even coerce yourself into doing your best, at least not for very long – your brain must be charmed into being involved and fully utilized." How does this work? Dale Dauten: Once you start to believe, as I do, that organizations devolve, that bureaucracy grows much faster than good ideas, you start to realize it's human nature for most people to become comfortable. Most become students of the status quo. Most avoid trying anything that's going to create a lot of work for them. Or that involves a risk of failure or embarrassment. There are a lot of forces pushing an organization towards mediocrity. It has been a couple of years since I developed a fascination with the Human Genome Project. I had become convinced that human nature is the major obstacle facing organizations because it drives all the things people do naturally, such as resisting change. The lesson here is, instead of thinking people are defective, change your perspective and see them as driven by human nature. Then the question becomes how can you charm their brains out of their natural tendencies? Some of it is simple. For instance, I've learned that if you say to people, "Let's try an experiment", most will think it's fun. If you say, "Listen, let's change," most will find it scary. So make everything an experiment. Say, "Let's try this idea and see what happens. Let's re-arrange these desks, try it that way, and see if it's better." Most people are into this approach because you can always go back. There's no real downside. Trying an experiment is one small example of how you can charm the brain. You change how you talk about things. VB: Is it possible to charm our brains into doing their best even at normally boring or mundane tasks? Dale Dauten: One of my mottos is, 'With a great boss there are no bad jobs and with a bad boss there are no good jobs', but it's a stretch – an exaggeration. There are boring, routine, or mundane jobs. When I hear stories about the street sweeper who thinks of himself as doing the work of a prince, or some person in a low-level job who has built it into an important job in his mind, I am not convinced. There are bad jobs. But I've seen people transform bad jobs into good jobs in creative ways, which is a different story. An example from The Gifted Boss is the leader who had people working at an assembly line doing boring, awful jobs. He reconfigured it so employees didn't take lunch or any other breaks. They came in and worked 5 hours straight, but they were happy, especially if they were moms or dads with little kids, because they came in at 9 and got off at 2. The work was lousy, but it became a great job because they got paid for 8 hours, and, because there was pretty high expectations for output and no breaks, they did as much as people who worked 8 hours. VB: Your brain would be charmed into doing your best? Dale Dauten: It's still boring, awful work and I don't pretend all assembly line work is going to be joyful, but you can try to make a bad job a better job, and the best bosses do. They say, "How can I make this into a job somebody would want", or "How can I make an ordinary job into one that somebody special would want?" I ran a market research company for years, and was able to hire high level people I shouldn't have been able to hire given the status, pay levels, and nature of the work. I had people who were studying for doctorates working part time writing research reports for the company. They could do it at home when they felt like doing it or had some spare time. The result was I got geniuses working on fairly mundane market research reports. VB: Do you still offer the one-day program, "Better/Faster," at the Bob Bondurant School of High Performance Driving near Phoenix, Arizona? Dale Dauten: We don't. The fellow who started the program with us at Bondurant left because of the economic panic in '08. It was a shame because it was neat. VB: What was it like to get behind the wheel of the racecars? Dale Dauten: Thankfully they didn't let me get behind the wheel. They took me out for a thrilling ride, which I preferred. There is some good science behind the fact that if you experience some kind of dramatic event, such as almost getting into a car accident, everything slows down and you can remember every detail. The cool thing about being in one of those racecars is that afterwards your brain is in a heightened state. It remains open and highly active and creative for a while. This was the whole point of the program, to drive racecars, which would be fun and memorable, and then relate racing theory to business theory while the brain was still hot. There are some nice parallels. As I said, we haven't done them since the Great Panic but we could fire one up again if there was a demand. VB: Do you have any advice about how to enjoy killing the status quo? Dale Dauten: The goal itself starts the enjoyment. This is a popular speech title for me. I have 4 or 5 titles for speeches which I offer people and 'How to Enjoy Killing the Status Quo' and 'The Gifted Boss' are the two people most often pick. The very notion that we're going to enjoy killing the status quo is fun. Killing the status quo sounds hard, even dreary. But there's something about killing it that engages people's imaginations, and when I say, "And we're going to enjoy it" it creates a clash of ideas. It makes people smile. One of the reasons I talk about hearing laughter in organizations is that it helps open minds and kill the status quo. There's a wonderful, bright, clean energy when people decide they're going to do something better, and do it with the goal of helping their external or internal customer. We all have customers. The energy is there when you say, "Let's see if we can help these customers. Who can we help today? Let's try something new." Once you start, it gets it's own momentum. VB: Gifted bosses and great employees have a good sense of humor, don't they? Dale Dauten: You can tell they're having fun. They're joking around. A sentence from one of my columns, which I like, is: "Anywhere you work employees are going to make fun of the boss, but in good companies they do it in front of the boss." When you can get this kind of relationship with the boss you have an environment where people can enjoy themselves while changing and doing something for the better. No doubt you've been in workplaces where there's a special energy, employees are trying something new they think will be cool, they are having fun, and they have a different kind of smile. I'm sure there are a lot of examples where people have accomplished great things even though the leader and employees were not having a great time. It's unlikely there are many examples of people accomplishing amazing things like Steve Jobs has. I've never met him, but I don't think he's the kind of boss you joke around with. VB: It's fun with high energy. Dale Dauten: Exactly, it's fun with a purpose. It's the fun of winning the tough game instead of just shooting basketballs around at random. VB: Is there another question I should have asked you? Dale Dauten: Believe me, this is more than anyone has ever asked! This has been great fun, and even though I didn't have much time, I didn't want to stop our conversation. VB: Thank you so much for your time and insights. "We are emotional beings pretending to be rational." "Most people are daunted by creativity; instead, make a decision to stop being ordinary and you end up at the same place faster and easier." "The most important determinant of innovation is the willingness to experiment." "There's nothing less impressive than trying to be impressive. Great minds dwell not on what they know, but what they don't. After all, what is curiosity but ignorance embraced?" He is a nationally syndicated columnist through King Features, and from 1991 to December 2010 was 'The Corporate Curmudgeon', which appeared in over 100 newspapers, providing business and management insights. Dale Dauten continues to write with J.T. O'Donnell in "JT & Dale Talk Jobs" providing information and advice to job seekers, employees, and employers. His writing has afforded him the opportunity to interview top business leaders, innovative management thinkers, coaches, and political figures. Dale Dauten is the author of an eBook It's A Wonderful Job (2010), The Laughing Warrior: How to Enjoy Killing the Status Quo (2009), Better Than Perfect: How Gifted Bosses and Great Employees Can Lift the Performance of Those Around Them (2006), Great Employees Only: How Gifted Bosses Hire and De-hire Their Way to Success (2006), The Gifted Boss: How to Find, Create and Keep Great Employees (1999), The Max Strategy: How a Businessman Got Stuck at an Airport and Learned to Make His Career Take Off (1997), Taking Chances: Lessons in Putting Passion and Creativity into Your Work Life (1986), and Quitting, Knowing When to Leave (1980).